Another wonderful piece from one of our ambassadors, Jane. 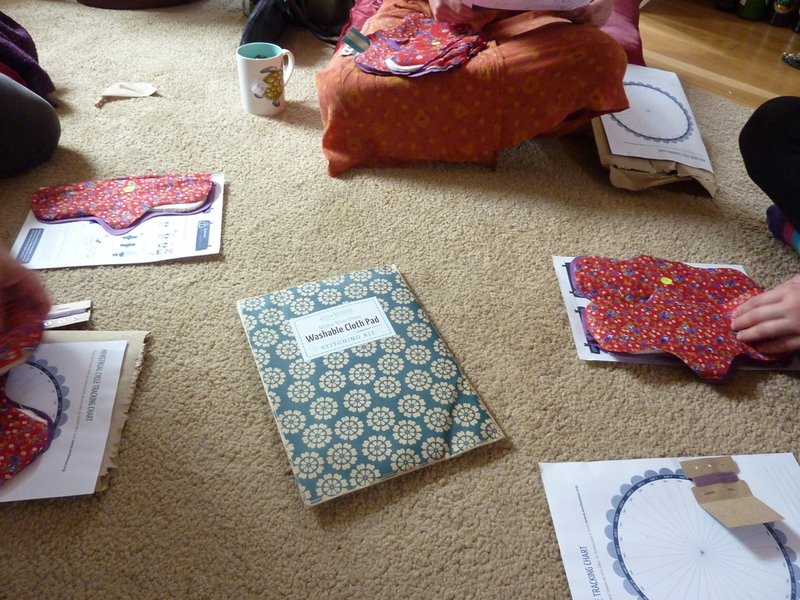 She held a cloth pad stitching session using our Make Your Own Kits with the ladies from her Red Tent group. You can read about how the session went and once again, our thanks to Jane for her inspirational work! 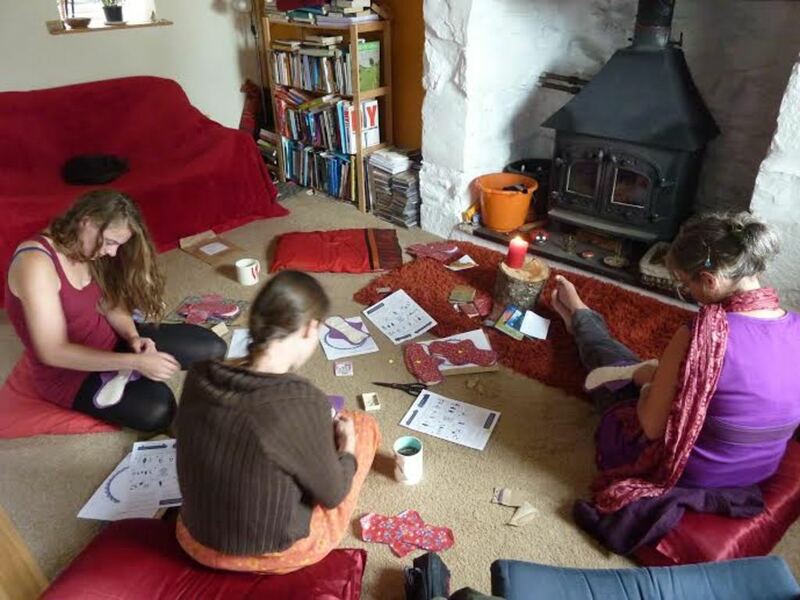 On Saturday 13th Sept, the women of Red Tent Gwynedd (a monthly public woman’s gathering centered around women’s empowerment, honouring menstruation and the environment in Wales UK) gathered for their very first ‘Eco Femme make your own pad’ stitching workshop. 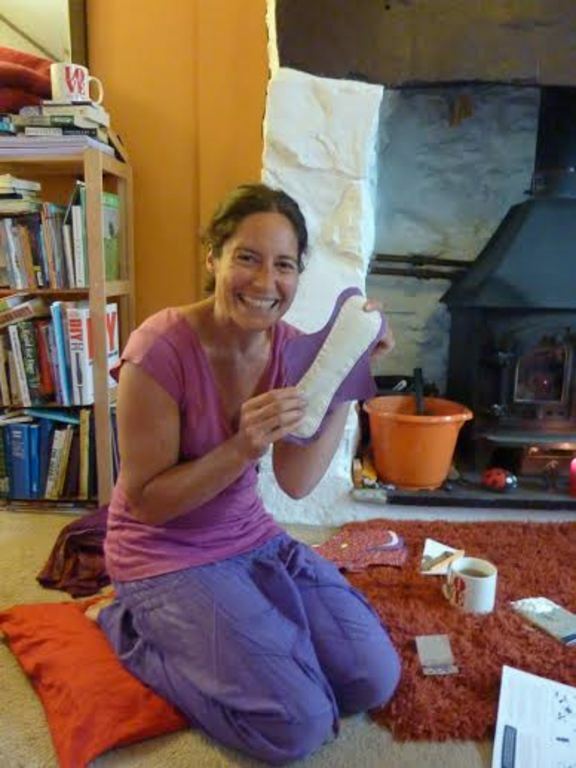 Talking about our own school days made us recall and share stories of our own experiences of menstruation as a young woman, some positive and some negative. Sewing together as a group brought back all sorts of long forgotten memories of our own home economics and sewing classes which we had fun sharing. 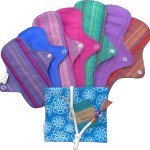 We also spoke of how we wished we had been given cloth pads by our mothers. And that if good quality reliable cloth pads had been invented sooner our mothers could have used them too. So many generations already have passed with the pollution of plastic disposables taking 500-800 years to break down. Having this special pad workshop allowed us to set aside quality time and space deserving of this important activity, and made it really fun too. One pad took about 2 hours to stitch, including time to figure out the instructions and make some cups of tea. Everyone commented how great it was to be able to see inside the pad and feel the fabrics, and to see just how many cotton layers make up the pad. We chatted about general care instructions, the simple washing process, and how best to dry pads in our cooler rainier climate, where strong gusts of wind and warm fires make drying fairly easy. If Jane’s work as an Eco Femme ambassador has inspired you then visit our Ambassador page and see how you could get involved. Our Make Your Own Kits are available from a number of retailers found on our buy page.